2. Investigate Petroleum as a source of Energy. 3. Investigate different types of potential and kinetic energy and interpret their use for the energy needs of humans. 2. How do we turn energy into electricity? 3. List several energy transformations that may be involved in making a piece of toast. 4. What does Energy have to do with Climate Change? Take your carbon Footprint Calculator. Read the article about Petroleum and answer the questions. Watch the Bill Nye Fossil Fuels & Energy to Electricity. Read the article on Energy and complete the Energy Sketch worksheet. 1. Investigate different types of potential and kinetic energy and interpret their use for the energy needs of humans. 2. Conduct an investigation on the way that magnetism can create an electric current. 3. 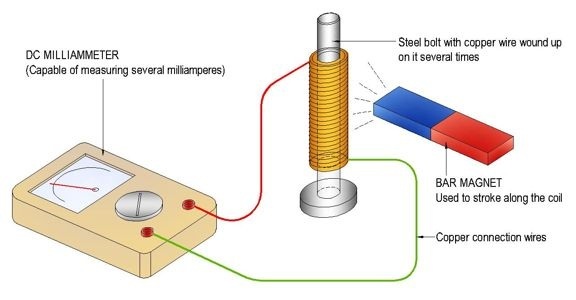 Connect the magnetic investigation to the way that turbines create electricity in an electrical power plant. 1. Define Potential Energy. List 3 types of potential and tell me why they are potential energy. 2. Define Kinetic Energy. List 3 types of kinetic and tell me why they are kinetic energy. ﻿Step 1: Pick up a magnet set and some iron fillings. Read the background information for Exploring Magnetism. Step 2: Follow the directions for "The magnetic field of a bar magnet", draw the magnetic field of the bar magnet on page 40 in your notebook. Step 3: Watch the video, how do batteries work by clicking on the button above. Pick up the instructions for Constructing an Electromagnet and the materials that you will need. Follow the directions and draw your device and answer the questions on page 41 in your notebooks. 1. Compare Renewable and Non-renewable energy sources. 1. How does an electromagnet conduct electricity? 2. What is its significance in the Electricity Grid? (you may have to watch the "Energy to Electricity" video once again. 3. After watching the Energy to Electricity video for the second time describe how we use thermal energy to generate electricity. Draw a diagram of the process. Step 1: You will be investigating several difference sources of renewable and nonrenewable energy. Using the energy.gov link, tell me what a fossil fuel is. How are they formed? 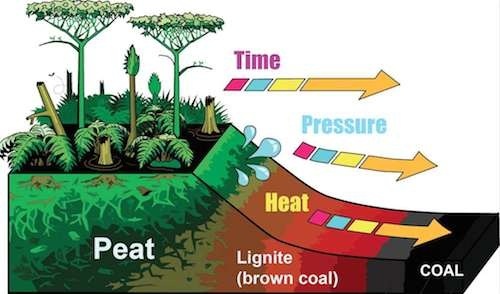 What are the three types of fossil fuels and how do we obtain them? Step 2: Pick up a "Facts of Light" Activity. Read and complete and paste onto page 43 in your notebook. what two processes are needed in order for coal to form? What does coal start out as initially? Step 4: Watch the following video on coal. Step 6: You have just began your research on 2 different sources of energy. You and 2 other people will actually chose 1 source of energy to investigate. You will need to follow the directions and the rubric to begin your project. Make sure you see your teacher for guidance.